Collects cans and plastic bottles separately in a single space-saving unit. 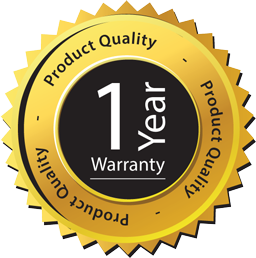 Our best-selling Nexus® 100 is the perfect solution for your workplace's recycling needs. 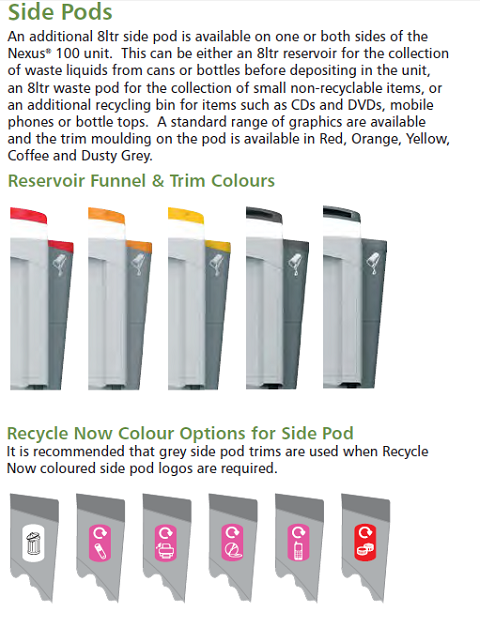 Nexus 100 Duo collects cans and plastic bottles separately in a single space-saving unit. 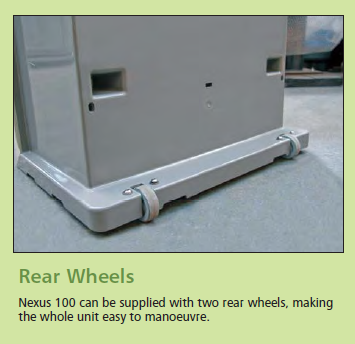 Nexus® 100 has a sleek design and collects large amounts of recyclables without taking up valuable floor space. 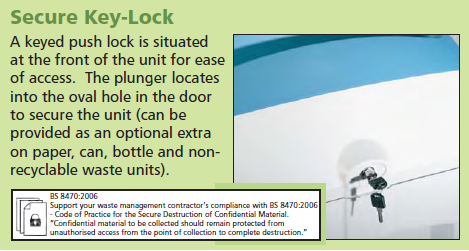 The door is removable and features wheels on the base to transport heavier loads a short distance to collection areas. 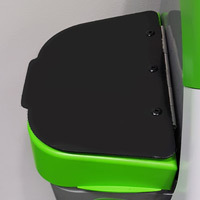 A drip tray in the base of the door prevents waste liquid from drinks cans or bottles leaking out onto the floor.